Is it true that there’s nothing you can do to replace tooth enamel? 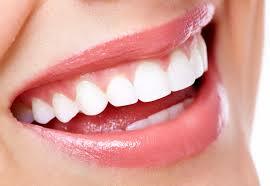 Teeth consist mainly of 3 parts: enamel, dentine, and pulp. Out of the 3, the enamel layer is one that is not replaceable. Once gone, as they do throughout life, they are unable to replace naturally. When that happens, you start to notice that teeth become yellow, showing the underlying dentine’s color. Enamel faces the challenge of maintaining its integrity in a continuous demineralization and remineralization within the oral environment and it is vulnerable to wear, damage, and decay. It cannot regenerate itself because it is formed by a layer of cells that are lost after the tooth eruption. Before you slurp down your next soda, consider this: Soda is public enemy number one when it comes to dental enamel erosion, a common and often painful condition. Enamel loss often starts as a simple annoyance and grows into a severe dental problem. Tooth enamel is a precious substance that gets worn down by the foods and drinks we consume — including but not limited to — soda and other sugary beverages. The dental enamel is the outermost covering of teeth. It is hardest mineralized tissue present in the human body. Conventional treatment relies on synthetic materials to restore lost enamel that cannot mimic natural enamel. With advances in material science and understanding of basic principles of organic matrix mediated mineralization paves a way for the formation of synthetic enamel. The knowledge of enamel formation and understanding of protein interactions and their gene products function along with the isolation of postnatal stem cells from various sources in the oral cavity, and the development of smart materials for cell and growth factor delivery, makes possibility for biological based enamel regeneration. If you are in need of a dentist in Centreville, VA, please contact our office today. We provide a wide range of dental services, including veneers, crowns, bridges, dentures, implants, and root canals. We look forward to being your dentist in Centreville, VA!